AuthorMitaliPerkins: New SCBWI Award for Unpublished Authors over 50! New SCBWI Award for Unpublished Authors over 50! The SCBWI is proud to announce the immediate launch of the Karen and Philip Cushman Late Bloomer Award for authors over the age of fifty who have not been traditionally published in the children’s literature field. The grant was established by Newbery Award winner and Newbery Honor Book recipient Karen Cushman and her husband, Philip Cushman, in conjunction with the Society of Children’s Book Writers and Illustrators. Karen published her first children’s book, The Midwife’s Apprentice (winner of the 1996 Newbery Medal), at the age of fifty-three and has gone on to become one of the field’s most acclaimed novelists. “This award was established to encourage and celebrate late bloomers like me, who didn't start to write until age fifty. But then I bloomed, and I'd love to see others do so as well,” said Karen. The award is open to both unpublished children’s book authors or author/illustrators over the age of fifty, and one winner will be chosen from the pool of those who have submitted material for the SCBWI Work-In-Progress Grants. The winner will receive $500 in cash, and free tuition to any worldwide SCBWI conference. The first winner will be selected this year and announced along with the other Work-in-Progress Grant recipients. 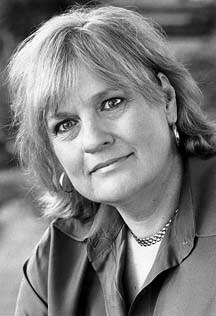 Karen Cushman is the author of The Midwife’s Apprentice (winner of the 1996 Newbery Medal), Catherine, Called Birdy (a Newbery Honor book), The Ballad of Lucy Whipple (winner of the John and Patricia Beatty Award), and her latest book, Will Sparrow's Road (Clarion 2012). Karen lives and writes on Vashon Island in Washington. To learn more about Karen visit www.karencushman.com. Founded in 1971, the Society of Children’s Book Writers and Illustrators is one of the largest existing writers’ and illustrators’ organizations, with over 22,000 members worldwide. It is the only organization specifically for those working in the fields of children’s literature, magazines, film, television, and multimedia. The organization was founded by Stephen Mooser (President) and Lin Oliver (Executive Director).